Microsoft’s Surface team sent out invites earlier today to press for a private event on 20 May in New York City. "Join us for a small gathering," the invite reads. No details have been leaked about the event, but based on the hint dropped by the invite I think Microsoft is going to launch the Surface Mini in a couple weeks. Rumors of a smaller Surface tablet have been circulating for nearly a year now, and a couple weeks ago those rumors were confirmed by a bunch of leaked product listings on Amazon.com. The listings were posted by a case maker, and they revealed that the Surface Mini would be an 8" tablet - probably running either Windows RT or Windows 8. Little is known about the Surface Mini other than the screen size, and unfortunately those leaked product listings have since been removed from Amazon. Microsoft first launched the Surface tablet in late 2012, and in 2013 they launched a couple follow on models. The Surface tablets currently all have 10.6" screens, including the Surface 2 which runs Windows RT on a 1.7GHz Tegra 4 CPU with 2GB of RAM, and 32GB or 64GB internal storage. There's also the more expensive Surface 2 Pro, which runs Windows 8.1 on a Core i5 Haswell CPU, 4GB or 8GB RAM, and up to 512GB internal storage. Microsoft has never sold very many Surface tablets due to its high price tag, but that hasn't stopped them from continuing to make their flagship tablet. And it certainly hasn't discouraged Microsoft from launching the Surface Mini a couple weeks from now. The interface isn’t as bad as I thought it would be (I’m using a Nokia 920 since someone nicked my iPhone). If people gave it a chance, I could see it becoming more popular. So this thing might have a stylus. What would be cool would be if some of the concepts from their defunct Courier project resurfaced. Microsoft’s Surface Pro tablets could be great devices, if only they were fanless devices. I have been wondering about that myself. Everyone else seems to be able to release a fanless Windows 8 tablet; why can’t Microsoft? Core i5 cpu, very tight chip packing, conservative heat load management. Surface Pro is a full desktop-equivalent tablet, not a webpad or even a netbook equivalent. If you have a use for it, nothing else will quite match it. What makes a Surface Mini interesting is the question of what level of power it will offer up. This doesn’t strike me as that big a deal. Several companies already have 8 inch Windows tablets. 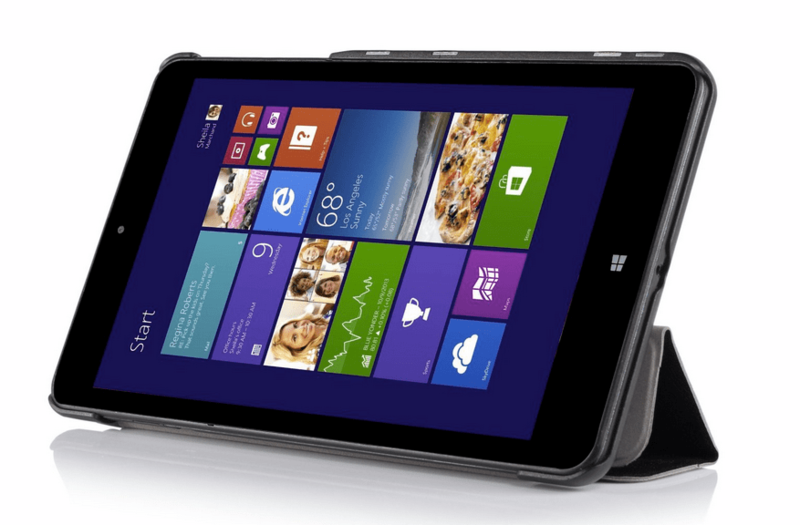 This is the flagship Windows 8 tablet from Microsoft. They might not sell very many but it’s still worth a mention.